Weigh-In-Motion collaboration between Cardinal Scale Manufacturing Company, Xerox, and MDSHA to collect traffic data. Cardinal Scale Manufacturing Company has been awarded a $2.7 million contract in collaboration with Xerox and the Maryland State Highway Administration (MDSHA) to provide virtual weigh stations and continued maintenance for 13 additional sites in the state of Maryland throughout the next three years. The contract includes Cardinal Scale’s Weigh-in-Motion (WIM) vehicle scale equipment, installation, software, maintenance, and on-call services. 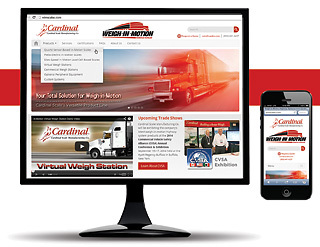 Cardinal Scale is using the company’s quartz sensor weigh-in-motion (QWIM) technology to screen trucks based on weights, dimensions, and credentials. This will allow the MDSHA to enforce commercial vehicle regulations and to collect traffic data. 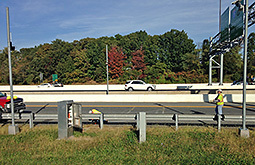 The data systems will provide 24-hour information from each installation point on Maryland’s highways and transmit it wirelessly within seconds. This information can be viewed from any computer via cellular connection in real time. 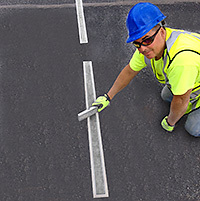 Cardinal Scale’s virtual weigh stations are designed to be minimally invasive using small Kistler LINEAS quartz sensors embedded in the road surface. 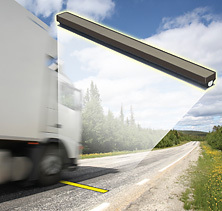 This method captures data of passing trucks without the need to exit the highway or even reduce speed. It operates unmanned and has no notable impact on traffic flow for optimal efficiency. In 2002, Cardinal Scale began working with the University of Maryland and the MDSHA to develop a virtual weigh station to fit their state’s highway needs. With the help of Xerox, the first site was installed on Route 32 in 2011 and was immediately successful. Since then Cardinal Scale has installed seven virtual weigh stations in the state of Maryland, five of which are in full operation and two are nearing completion. Cardinal Scale Manufacturing Company is a truck scale manufacturer and highway traffic management technology company specializing in the Intelligent Transportation Systems (ITS) industry. Cardinal Scale is a US company based in Webb City, Missouri supplying scales and services throughout the United States and overseas since 1950. Increased pressure to identify overloaded commercial vehicles on our nation’s highways along with advancements in technology and the move to institute legal metrology performance standards will result in the increased use of in-motion vehicle or WIM scales. Until recently, the vast majority of WIM scales were used in monitoring commercial traffic without impeding traffic flow. Other industries are now taking note of the advantages offered by this technology and are beginning to use WIM scales in different applications. WIM scales, like Cardinal Scale’s QWIM series, are commonly used to identify over weight commercial vehicles on mainline state and interstate highways for enforcement static weighing as well as sorting vehicles entering highway weigh stations returning those with legal weights to the interstate highway. These scales are beginning to find use in other applications. For example, this type of WIM scale is used in mines to weigh ore trucks on their way to the crusher. Still other applications include weighing trucks entering and leaving sea ports. WIM scales are also being used to improve our safety. For instance, they can be used to track the weights of vehicles entering and leaving parking garages to determine the total load on the parking structure. They’re also used to warn vehicles approaching a curve or a bridge that their speed or weight is unsafe. Some of the reasons that scales like the QWIM series find use in these applications is the fact that they provide good weighing accuracy while being unaffected by changes in pavement temperature. The quartz sensors are ground flush with the surrounding pavement making damage from a passing snowplow highly unlikely. Further still, unlike those WIM scales employing some type of strain gauge technology, the quartz sensors are highly resistant to damage from moisture and voltage surges. This sensor technology coupled with Cardinal’s new CVW Series In-Motion Scale Controller offers previously unavailable features and performance in a compact package. This new controller is fully contained on a single multi-layer printed circuit board and uses a one hundred percent SMD design. Included on the board is a high-speed ARM processor with a core speed of 100 MHz, a 4-channel 14-bit A/D converter, 512 Kb program memory and 256 Kb of RAM. Other features include a USB port for field upgrades, a micro SD card slot for mass storage of data, Ethernet, and multiple serial ports. Sensor inputs along with multiple outputs increase its flexibility. An embedded web page makes setup and configuration easy and extended diagnostics allows thorough interrogation of the controller. The controller is equipped to produce not only axle weights but left and right side weights and classification for vehicles with up to 13 axles. Additional option cards can be added to the CVW controller to produce a system exactly right for most any application. The world of legal metrology has also taken note of the increased use of WIM vehicle scales. 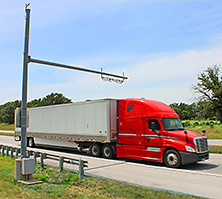 Most recently a workgroup was formed under the guidance of the Federal Highway Administration (FHWA) to develop standards for the performance of WIM scales used for the identification of over-weight commercial vehicles. After several years of work, the new code is ready for use. The adoption of this code will be voted on at the one hundredth meeting of the National Conference on Weights and Measures (NCWM) at their July meeting in Philadelphia. If adopted, this code will become part of the 2016 edition of the Handbook 44 published by the National Institute of Standards and Technology (NIST). You can view the proposed WIM code at www.ncwm.net. For noncommercial applications where speed and volume are of the essence, the use of WIM scales for vehicles will only grow pushed along by improvements in sensor and instrumentation technology. It is exciting to think what the future may hold. The new weigh-in-motion highway systems Web site features Cardinal Scale’s complete product line for this vertical market, including quartz sensor-based in-motion scales for full highway speed weighing, slow-speed in-motion load-cell based scales, virtual weigh station software, custom systems, optional peripheral equipment, and also static scales for commercial weigh stations. The Web site uses adaptive response technology, so the screen formatting will change based on the device it’s being displayed on whether it’s a PC, tablet, or smart phone. Cardinal Scale began developing and manufacturing in-motion vehicle scales in the late 1990s and today the company has grown to offer a number of commercial enforcement in-motion weighing systems that can be found across the U.S. as well as in South America, the Middle East, and the Far East.